Late/Walk-In registrations (after 3/12) may be available at above prices, however, space and/or lunch NOT guaranteed. To download full registration details and pdf brochure, select image. Participants will learn the historical underpinnings that led to the need of a code of ethics for our profession. Using Missouri specific examples, professional conduct standards will be explored with an emphasis on the recent update to our code of ethics. Finally, application of the Code of Ethics in a school setting will be practiced. About the presenter: Jeannie practiced school social work in the Kansas City, Kansas School District for 32 years. She served as Department Chair and provided Ethics presentations for school social workers for the KCK School District and neighboring districts. Since retiring from school social work in 2011, she currently works part-time PRN for Children's Mercy Hospital Kansas providing mental health screenings to youth in mental health crisis as a member of the Acute Mental Health Screening team. Using principles from yoga, we can use breathing, meditation and postures to create a sense of peace and well-being. For those who have experienced trauma, there are some special considerations. Yoga can be an excellent tool for stress relief, problem solving and mindfulness for not only all students, but for school staff and care-givers as well. In this workshop, we will explore yoga for children of all ages, games and youth-appropriate meditations, special considerations for those dealing with stress, anxiety or PTSD. Attendees will also learn how to add in easy elements of these practices for self-care. Please dress comfortably and bring a yoga mat or beach towel for a few floor activities. *Floor sitting not required for those not comfortable with that position. Jeans or dress pants not recommended. About the presenter: Leah is owner of Core Balance Yoga Center, which has one studio in Lee’s Summit and another in Raintree. She is a 200-hour+ trained yoga teacher with two certifications in Kids Yoga and a certified Laughter Yoga Leader. She is a co-creator of the Kansas City Yoga Festival and the Kansas City Yoga Teacher Training program. 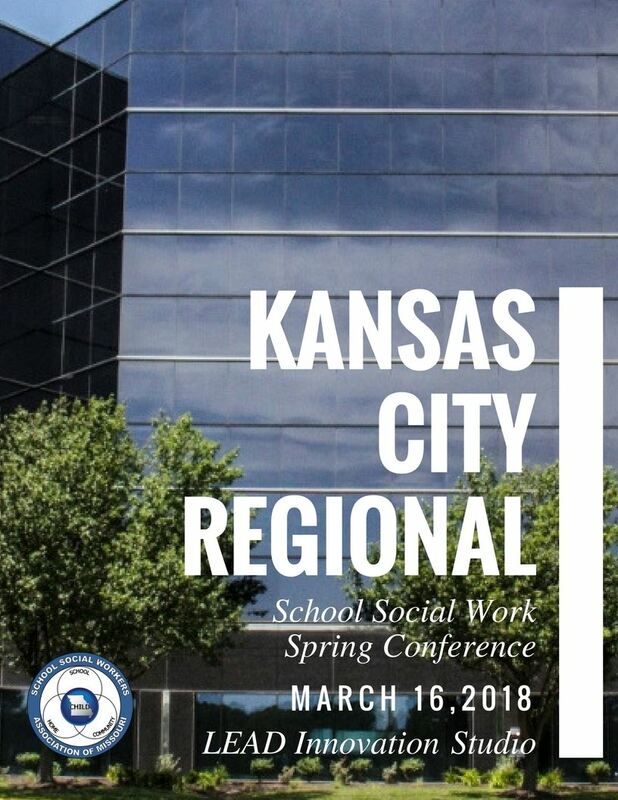 The conference location is being sponsored by the Park Hill School District Social Workers and will be held at Park Hill School District's LEAD Innovation Studio. Free Onsite Parking: Please park in the spaces labeled “Park Hill Parking” on the ground. These spots are located near the back of the lot (north side of the lot). From there, just walk in through the doors and go to the elevators, they will get you to the 5th floor. Please note: Pre-registration ends 3/12/18. Pre-registration ensures your seat, lunch for full day attendees, and a CEH certificate the day as you leave. Late and walk-in registrations will be available until sold out and will not guarantee you the above.